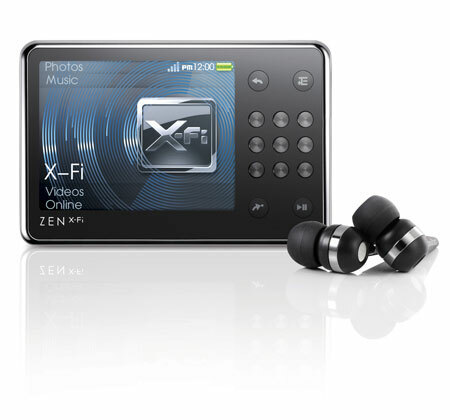 Experience your MP3 music as the artist originally intended with Creative ZEN X-Fi – the first player to restore the quality of compressed music with award-winning X-Fi Xtreme Fidelity Audio technology. Indulge in rich audio where you can hear your music in crystal clear clarity. Take in guitar strumming, crisp cymbal clashes and deep pounding bass as detail lost during file compression are now beautifully restored. 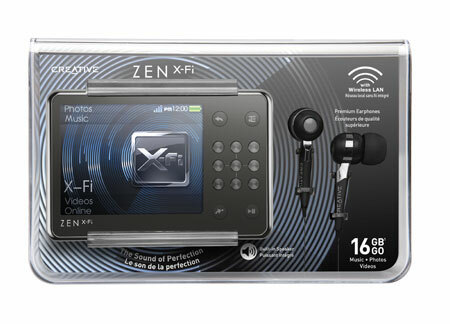 The Creative X-Fi has better sound, superb headphones, an amazing feature set, expandable storage via an SD card slot, an easy-to-use interface that will please users who don’t want to work with a touch screen, and – here’s the kicker – the ability to stream and download music from your PC wirelessly. It looks great, too, and it costs about half as much as Apple’s current Wi-Fi-enabled iPod Touch players. The built-in Creative ZEN X-Fi technology intelligently moves a conventional left/right earphone stereo source away from your ears, virtually expanding it for an audio experience with a breathtakingly realistic depth of field. You’ll feel as if you were listening to your music from a pair of high end speakers.